All that sparkles is not gold. It could be zircon. About a century ago, a college student figured out that the Earth has rocks over a billion years old. Until Arthur Holmes’ experiments at Imperial College in London, geologists could only guess at the age of various rock formations. Geologist knew that Devonian rocks are older than Jurassic, for example, but they did not have any real idea if the age difference was tens or hundreds of millions of years. Fossils of jawless fish embedded in Devonian layers were definitely more primitive than bipedal Jurassic dinosaurs. And Devonian rocks are buried under younger Jurassic. So, there was never an argument that Devonian was older. But how much older? 21-year-old Arthur Holmes came up with the answer. He used the simple fact that the element lead rarely appears in the common zircon mineral, but uranium frequently does. And uranium transforms into lead at a fixed speed. By counting the number of lead atoms in a sample, and comparing that with the amount of uranium, he realized he could figure out the age of the zircon. Before we get into the nuts and bolts of the calculation, let’s follow young Holmes from his home in north England to his lab in London. Arthur Holmes was born in Gateshead, England, a gloomy and remote coastal town in the northeast, a spare place of windswept barren bogs and heaths. Reverend John Wesley, the first Methodist, arrived there in a blizzard in 1785, and described it as a pathless waste inhabited mainly by “tinkers, gypsies, pitmen, and quarrymen.” In bringing his good news to Gateshead, Wesley must have been at least partly successful – Holmes grew up in a Methodist family. Of that, Holmes says he was puzzled, as a child, to read the Earth’s Creation date printed in the family Bible. It appeared at the beginning of the book’s summary of the world’s chronology – 4004 BC – the year Bishop Ussher had calculated. “I was puzzled by the odd ‘4.’ Why not a nice round 4000? And how could anyone know?” Holmes would prove the Earth’s age was in the billions, not thousands, of years. 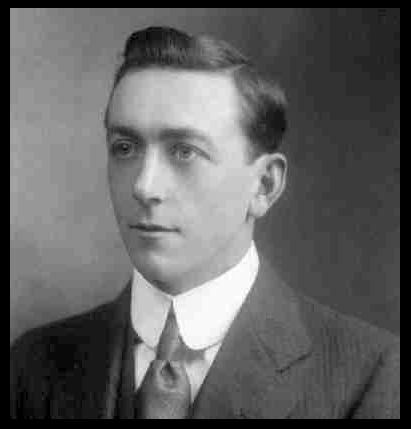 At 17, he escaped dreary Gateshead and studied physics and geology at Imperial College in London. For food, lodging, and class fees, he survived on a scholarship of £5 per month – about $300 today. Holmes performed the world’s first uranium radiometric dating. The rock he tested was an astounding billion years old. He published his results in 1911, as “The association of lead with uranium in rock-minerals, and its application to the measurement of geologic time.” It was revolutionary. Barely past his teenage years, Holmes created a brilliant geological technique still used a hundred years later. Until Holmes’s experiments, few guessed the planet might be over a thousand million years old. Nor had they ever had an actual number, a nearly precise value, rather than a vague notion of timelessness. Holmes continued to refine the way radioactive decay revealed deep time. By 1927, he revised his estimate to three billion years. By the early 1940s, Holmes figured the Earth had had a solid crust for about 4.5 billion years. With a minor correction, this is still considered valid. The reason for Holmes’ revisions is related to the way radioactive isotopes were becoming understood and the way measuring techniques and equipment became increasingly accurate. In the early days, radioactive dating was like using an ancient grandfather’s clock, tinkering to get the time right, knowing it will be somewhat reliable, but never perfectly accurate. The nuclear clock has been steadily ticking away ever since elements coalesced. Physicists found it works like this: Radioactive materials change with time at a steady, predictable rate. They lose their radio-activity as their unstable bits shed energy and become stable forms of matter. For example, uranium can be dangerously radioactive, emitting cancer-causing rays or exploding in nuclear bombs. Inside the Earth, radiation releases enormous amounts of energy, keeping our planet’s interior hot with energetic material slowly transforming into permanent forms. Once uranium has shed some of its mass as energy and settled into a life of lead, it is stable and non-radioactive. In a rock sample, a comparison of the amount of uranium with the amount of lead yields its age. A specimen with quite a bit of uranium and virtually no lead is young. As it ages, there is more and more lead. Given enough time, a considerable portion of the unstable uranium ends up as the stable element lead. Physicists cannot predict when any individual atom will spontaneously transform, but a lump of granite has billions of unstable atoms, so scientists predict the percentage of material that will undergo the change each second. Even though the transformation of any single uranium atom is unpredictable, the average rate is precisely known. Half of the unstable isotope U-235 becomes lead (Pb-207) in 704 million years. In twice the time period, 1,408 million years, three-quarters of the original U-235 is Pb-207. For this particular kind of uranium, geologists simply compare the proportions of lead and uranium. You may wonder how they account for any lead already in the lump of granite when the rock first formed. It is easy – there wasn’t any. Uranium is sometimes found in the mineral zircon. 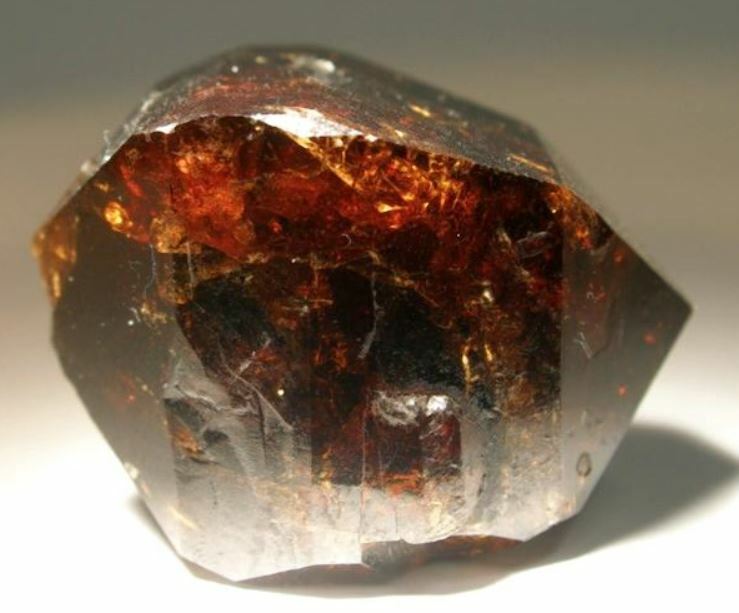 Zircon is a common mineral, plenty is found in ancient crustal rocks. Pure zircon has one zirconium, one silicon, and four oxygen atoms stitched together in a molecule. When zircon molecules form, uranium frequently sneaks in, replacing the zirconium atom. Then you have a molecule with one uranium, one silicon, and four oxygen atoms. Lead never combines this way during zircon’s formation – there is never a newly formed zircon molecule with a lead atom replacing the zirconium atom. Geologists inspecting zircon minerals in igneous rocks realize every bit of lead in the mix is there only because in its former life, the lead was uranium, and then radioactively decayed into lead. They can be certain that a bit on zircon with equal amounts U-235 and Pb-207 is 704 million years old. With this technique, Holmes was able to show that jawless Devonian fish fossils were about 400 million years old while Jurassic dinosaurs were common 150 million years ago. At last, a real number, in years, rather than the former “very old” and “very, very old” that geologists had use before Arthur Holmes gave them the dates. This entry was posted in Biography, History, Religion, The Book and tagged age-dating, Arthur Holmes, mountain mystery book, uranium, zircon. Bookmark the permalink.